A couple of weeks ago I was invited to tour Oxford University Press, the renowned publishing company affiliated to Oxford University. The premises of this outstanding publishing house, situated in Oxford on Walton and Great Clarendon Street, is majestic, grand and almost 200 years old (OUP has used three major sites in Oxford city over the course of its history). With nearly 6000 employees worldwide, it publishes thousands of new titles each year, including children’s books, school texts, music, journals, an extensive English Language catalogue, and academic works in every field from philosophy to quantum physics. Many of their publications are now in electronic format too. My tour started in the museum, which was fascinating. Here, amongst the copious mind-boggling facts and figures, are rare printing artefacts (some behind alarmed doors) including machinery, lithograph imprints and wonderful photographs all capturing the spirit of various historical periods from over five centuries of publishing. The press started in 1478 (it’s the oldest publishing company in the world), with the publication of a single volume (which was printed in Oxford with the university’s support), and is an exposition of the Apostles’ Creed, attributed to Theodoric Rood (a printer from Cologne). In 1585, Joseph Barnes became the university’s first official printer and a year later a Star Chamber document, under Queen Elizabeth I, recognised the university’s legal right to employ printers. A group of academics established the Delegates of the Press in 1633 (to supervise the printing), and by 1636 the University Chancellor William Laud obtained the ‘Great Charter’ from Charles I, affording the right to print ‘all manner of books’. OUP is synonymous with the Bible and the Oxford English Dictionary. The former was first published (King James version) in 1675, and subsequently revised in 1881 (New Testament), with a million copies dispatched within 24 hours. The Oxford English Dictionary (the first part of which was published in 1884), took years to complete, and was only available in the full version in 1928. OUP now publishes all manner of reference books from the Dictionary of National Biography (which was acquired in 1917), to A S Hornby’s Learner’s Dictionary of Current English (published in 1948 and later called the Oxford Advanced Learner’s Dictionary). My tour guide was thorough and delightfully enthusiastic, punctuating all the facts with anecdotes and stories. 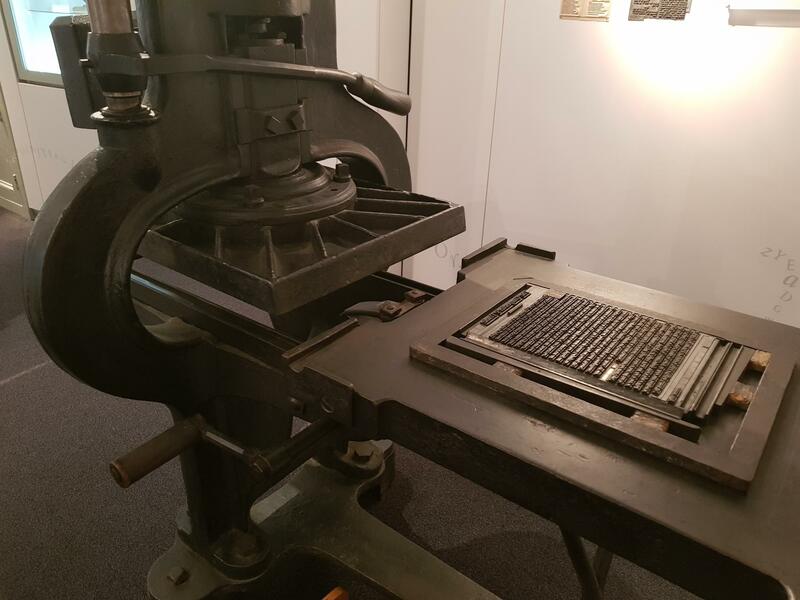 The machinery used for printing was well-preserved and quite different from the procedures we are accustomed to today (the image to the right illustrates a printing machine on display in the museum). 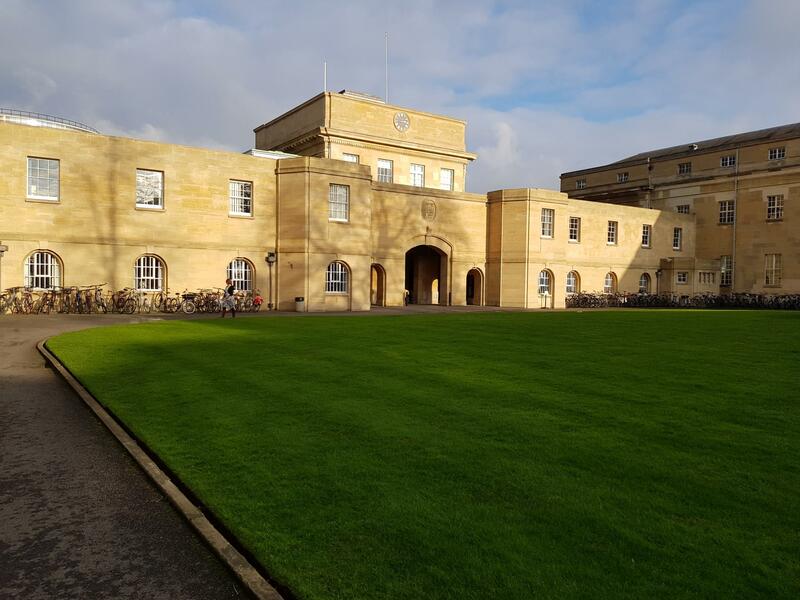 Moving to the Twentieth century, OUP formed its music department in 1923 (founded by Hubert Foss), and it immediately attracted renowned British composers, publishing original scores as well educational music books. Ralph Vaughan William, William Walton, and Constant Lambert, were all published by OUP, and it continues to publish influential British composers today, including John Rutter, Howard Skempton, Rebecca Clarke, Michael Finnissy, Alun Hoddinott, Michael Berkeley, and Kerry Andrews. Championing new composers alongside educational text books reminded me of my publisher, Schott Music, who have a similar historic background; Schott was founded by Bernhard Schott (1748 – 1809) in 1770, with headquarters in Mainz near Frankfurt, Germany). They have a very impressive music catalogue, having published manuscripts of such composers as Mozart, Beethoven, Wagner, Orff, Stravinsky, Hindemith, and more contemporary composers; Hans Werner Henze, Michael Tippett, Gyorgy Ligeti, Henri Dutilleux, Krzysztof Penderecki, and Mark-Anthony Turnage (to name a few). The Schott group also includes the publishing houses of Panton, Ars-Viva, Ernst Eulenburg, Fürstner, Cranz, Atlantis Musikbuch and Hohner-Verlag, two recording labels (Wergo and Intuition), and eight specialist magazines. I feel tremendously privileged to work with this publisher, and (in my experience) the attention and support they offer their authors and composers is second to none. 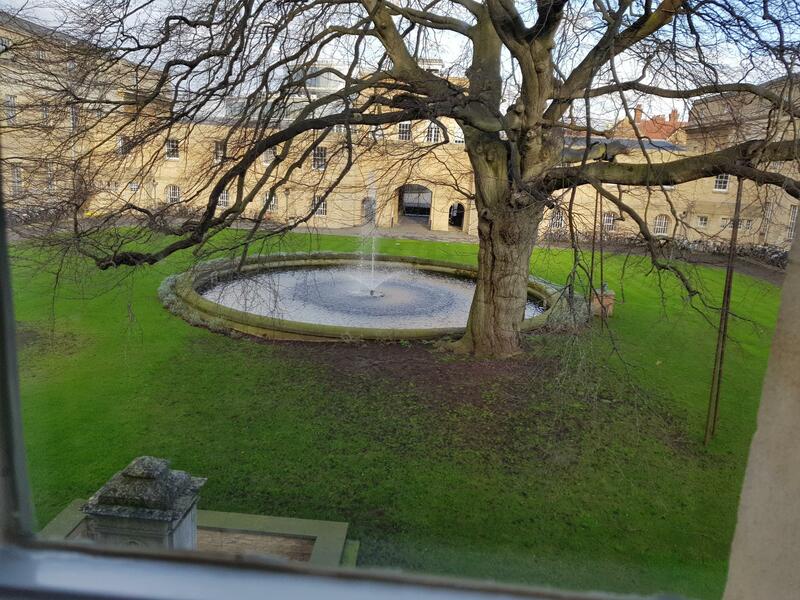 My tour ended with a wander around the premises, a quadrangle (pictured at the top) and to the left) with, what on first glance appears to be a decorative water feature, but (according to my guide) is apparently a very deep well where old printing machines were supposedly dispatched when they eventually ‘died’! A sumptuous, private press lunch, held in one of the oldest parts of the building, brought my visit to a close. We are lucky to have (and be able to enjoy) publishing houses offering a wealth of history. Nothing can replace such longevity and reputation, and it was a real pleasure to witness OUP’s long and interesting history via their museum and impressive premises. How delightful to read. Thank you for sharing it.